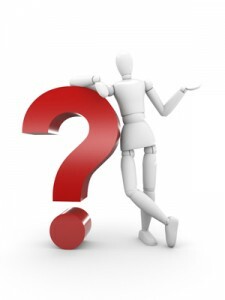 What are the Five Most Common HR Questions? #5 What’s been documented about this issue in the last 2 years? The old Holiday Inn slogan “The best surprise is no surprise” holds true in employment adverse actions. An employer who gives frank and written performance feedback at least annually stands a better chance of having a defensible termination/demotion/reassignment. Utilizing a written performance improvement plan or disciplinary action notice outlining specific unacceptable behaviors with the expectations and the consequences is the key to setting the stage for the employee to succeed. The employer can more confidently defend a termination action if the employee does not improve after written notice. Even a memo for the record stating, “On this date I spoke with Sally about her personal calls at her work station” is better than no documentation. #4 How have you handled similarly situated employees? This is an important perspective and will be critical should a discrimination charge be filed by the employee. If the employer has a record of disciplining others who have not met the same standards, then this should be an easy one to defend. If no other employee has ever been so egregious in their conduct then it’s a stronger case for the employer. Check out your past practice. Regardless of the company’s written policy, the precedent or past practice exercised will carry more weight. If the employer deems it’s time to change what’s been allowed in the past, then a written announcement to all employees with the new standards will be important in setting the new stage. #3 How does your employee handbook or policy/procedures outline the expectations? Having an up to date employee handbook or outline of procedures is a great way to communicate expectations from the get-go rather than waiting until the employee trips up. Oh yes, and you’ll want to have a signed receipt that the employee received a copy of the handbook. #1 And the most often asked question in our office … What’s the employee’s side of the story? Regardless of the circumstances and the seemingly blatant disregard for company policy, it is crucial that the employer ask for the employee’s reasoning for his/her behavior. About fifty percent of the time (no kidding) the employee has a somewhat plausible explanation the employer did not know/consider. It’s appropriate to ask the employee his story and then suspend him pending further investigation or review. Don’t be penned into making a judgment on the spot. Of course, if the employer elects to terminate the employee immediately, the final pay, including vacation/ PTO must be paid immediately in California. There are many other questions we’ll ask in the review process with an employer, such as: What’s the employee’s work history? Has the employee recently filed a workers’ compensation claim? Has the employee taken protected leave of absence (family leave or pregnancy)? Has the employee filed a complaint with Cal OSHA or the EEOC/DFEH? Take time to consider how a third party (i.e., a judge, arbitrator, government agency) would review an employee’s work history and the employer’s past practices before taking adverse action. The time spent reviewing the case and thinking out loud with your attorney or HR specialist could save thousands of dollars and embarrassment down the road. Aside from “Now why did I walk in this room” often heard from yours truly.